This website has been created with the financial support of the EEA Financial ​ Mechanism under programme "NGO FUND, under the" activities of NGO support program ", and by Latvian State. NGO Talent City project „Democratic study circles” disseminates a well known method which is widely known in Scandinavian countries – study circle method. NGOs about the basic principles of study circle method share the examples of best practices and disseminate the method in Latvia and Europe. At the beginning the coordinators will be trained, using the Training of Trainers principle, using the Norwegian expertise. Trainings will be provided by Norwegian and local experts. Further the activities in four regions of Latvia will take place, involving the interested participants and creating the network in Latvia. Main activities– trainings for coordinators, trainings for participants in the regions, local study circle groups, compilation and sharing the best practices on project webpage, social media and local press. At the beginning of the project -a kick off conference is planned, at the end – panel discussions. Training materials will be translated, distributed to all participants and accessible on project webpage. Within project NGO Talent City will create a network and join two European NGO networks. The study circle method is very democratic and simple and does not require huge resources, however it is necessary to adapt and adjust it to the existing situation in Latvia. The appliance of study circle method in adult non formal education will stimulate active participation of citizens in democratic processes in the country and will activate people in Latvia to realize the importance of lifelong education in a new innovative context. Culture and Education Studio NGO Talent City project "Democratic study circles" (project number: 2012.EEZ/DAP/MIC/076) promoted widely used method in Scandinavia for non-formal adult education - study circles. The goal was to train Latvian citizens and non-governmental organizations representing them , about the study circle method , its guiding principles, to share good practices and promote and spread the method in Latvia and Europe. Project implementation period was; from 01-07-2013 to 31-12-2015. During the project period NGO has conducted trainings about study circle method in 4 regions - Vidzeme, Kurzeme, Latgale and Zemgale, as well as 2 capacity building trainings for Talent City members. Project partner – Norwegian Adult Education Association (VOFO). Local trainings have been carried out in the form of seminars and practical training in all Latvian regions - Vidzeme, Zemgale, Latgale and Kurzeme and we have prepared 96 study circles leaders and participants. Latvian was twice visited by our partner, guest lecturer from the Norwegian Adult Education Association (VOFO) - Sturla Bjerkaker. In 2015 the NGO carried out 2 SWOT analysis in order to assess how the project has strengthened the capacity of the organization. There have been 2 international exchange visits to Lithuania (Lithuanian Association of Adult Education) and Estonia (Estonian Adult Education Association). NGO "Talent City" visited the colleagues- adult education trainers- in Lithuania and Estonia, where we together discussed the informal adult education paths development in the Baltic countries. NGO Talent City has become a member of two national level networks - Latvian Civic Alliance (eLPA) and Tīne network as well as 2 European and international networks - The Learning Teacher Network and ESREA. Additional materials in cooperation with our Norwegian partner Sturla Bjerkaker have been translated for the study circle methodology, participants have received those materials during trainings and they are available on the project website: studijuaplis.weebly.com. The project home page will be continued and extended also after the end of the project. The NGO Talent City has added 42 new books to its resource library and will continue to update its resource library for study circles. A DVD video brings together all the experience gained during the project. Video can be found on project website as well as on Youtube. The final panel discussion was attended by 20 Latvian culture ambassadors and we jointly evaluated the results achieved and lessons learned by promoting study circles method. At the beginning and at the end of the project NGO carried out a survey in social networks, in order to find out what the awareness of the population about the democratic method – study circles – and understanding of non-formal education was before and after the project. To continue the dissemination of study circle method in Europe, Erasmus KA 2 project about study circle method and how to further promote it in Europe has been prepared. The implementation of the project for NGO "Talent City" provided an opportunity to work more actively, to absorb new knowledge, take part in the development of NGO sector on local, national and international levels, to engage in the membership of Latvian Civic Alliance network as well as in two international NGO networks in Europe - ESREA and The Learning Teacher Network. The moment of success of this project we believe has been our Norwegian partner, VOFO, the study circle expert Sturla Bjerkaker, and his attraction to the project activities. Project „Democratic study circles“ No.2012.EEZ/DAP/MIC/076. Study circles have covered the whole Latvia! December 10-11, 2014, in Riga, we participate in the experience exchange seminar „Bilateral cooperation within projects supported by EEA grant "NGO Fund" – impact and recommendations" . Culture and Education Studio NGO Talent City project "Democratic study circles" promotes widely used method in Scandinavia for non-formal adult education - study circles. The goal is to train Latvian citizens and non-governmental organizations representing them , about the study circle method , its guiding principles, to share good practices and promote and spread the method in Latvia and Europe. During the previous project period NGO has conducted trainings about study circle method in 4 regions - Vidzeme, Kurzeme, Latgale and Zemgale, as well as 2 capacity building trainings for Talent City members. In 2015 the NGO will held the SWOT analysis in order to assess how the project has strengthened the capacity of the organization. There will be 2 international exchange visits to Lithuania (Lithuanian Association of Adult Education) and Estonia, Siljame (Children Charitable Foundation). In 2015 the NGO Talent City will again approach training participants to assess and gather their experiences in leading study circles in their local communities. The final conference will be attended also by our partner from the Norwegian Association for Adult Education (NAAL) to jointly evaluate the results achieved and lessons learned from Latvia by promoting study circles method. Additional materials have been translated for the study circle methodology, participants have received those materials during trainings and they are available on the project website: studijuaplis.weebly.com. A web-based DVD movie will be completed, which brings together all the experience gained during the project. A separate project home page will be continued and extended in 2015. The NGO Talent City will be update its resource library. NGO Talent City will continue to operate in two national level networks - Latvian Civic Alliance (eLPA) and Tīne network as well as will continue its participation in two international level networks - The Learning Teacher Network and ESREA, becoming The Learning Teacher Network official representative (focal point) in Latvia. At the end of the project NGO will carry out the re-survey of the people in social networks, in order to compare what the awareness of the population about the democratic method – study circles – and understanding of non-formal education is before and after the project. The project „Democratic study circles", implemented by NGO Talent City, is approaching to the end. The final event in the form of panel discussion is planned for November 1 , 2015, in Valmiera. This time Latvian Cultural Ambassadors will step into the roles of listeners for whom it will be a possibility to get to know the project’s best practices, learn how successful the implementation of the project has been, as well as to take part in the creative study circle session. The study circles method promotes public active participation in democratic processes in the country. The method is democratic and does not require a lot of resources, but it is necessary to adjust and adapt it to the Latvian situation in each region and to the specifics of the chosen themes. How it has been managed, we will find out during the panel discussion, as well as in a survey that will take place in December. The project aims to train Latvian citizens and non-governmental organizations representing them, the study circle method’s guiding principles, to share good practices and methods by promoting and spreading the method in Latvia and Europe. Local trainings have been carried out in the form of seminars and practical training in all Latvian regions - Vidzeme, Zemgale, Latgale and Kurzeme and we have prepared 96 study circles leaders and participants. Latvian was twice visited by our partner, guest lecturer from the Norwegian Adult Education Association (VOFO) - Sturla Bjerkaker. NGO "Talent City" visited the colleagues- adult education trainers- in Lithuania and Estonia, where we together discussed the informal adult education paths development in the Baltic countries, and planned to prepare and submit the Erasmus KA 2 project about study circle method and how to further promote it in Europe. The implementation of the project for NGO "Talent City" provided an opportunity to work more actively, to absorb new knowledge, take part in the development of NGO sector on local, national and international levels, to engage in the membership of Latvian Civic Alliance network as well as in two international NGO networks in Europe - ESREA and The Learning Teacher Network as a moment of success of this project we believe has been our Norwegian partner, VOFO, the study circle expert, and his attraction to the project activities. Summer Is also for learning! This summer for the Association of Cultural and Educational Study "Talent City" was the continuation of implementation of the project "Democratic study circles" (no. 2012.EEZ / DAP / MIC / 076). The project is being implemented to strengthen the capacity of the association within the financial support of program "NGO Fund". It is funded by the EEA Financial Mechanism and Latvian state, administered by the Society Integration Fund, co-financed by the association of Talent City. 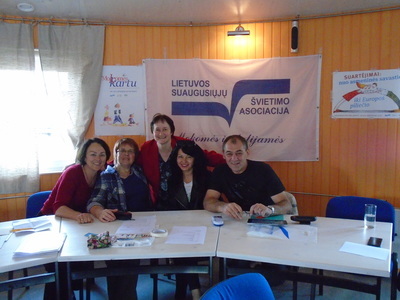 This summer we visited Estonia and Lithuania to get acquainted with adult educators work in our neighboring countries. At the end of June, we met in Estonia with the Estonian Adult Educators Association and visited educational and cultural institutions in Viljandi town. The theme of the visit was - "Adult educators journey towards professionalization" -miscellaneous ways to implement and enhance non-formal adult education. The most useful was the presentation of the method of "Living Library", when a person's life experience in a specific field is read as a book. In July we visited Lithuania, where we met with the Lithuanian Adult educators Association, as well as we shared practical experiences in the field of intercultural integration in Vilnius with New Vilnius Cultural center and, together with the Centre for young people discussed the future plans of joint projects. NGO Board Chairman Rita Liepiņa during summer complemented the NGO management excellence course by participating in interesting training sessions organized by the Latvian Civic Alliance . The acquired knowledge is already introduced by the association "Talent City" in its daily operations and the current evaluation of the SWOT analysis, which had also been planned in this project. Youth of NGO "Talent City" have also already demonstrated that they are able to conduct a session on the study circle method. This they demonstrated during Erasmus Plus youth exchange project in Poland, Zakopane and conducted an interesting training and the method was included in the final product - manual . They had to explain the method with only 800 characters, which was an unusual challenge. Young people are grateful to our partner, the Norwegian Association of Adult Educators, VOFO, and especially the lecturer and expert Bjerkaker Sturla, who in early May this year visited Latvia, Riga and Valmiera, and the young people experienced an excellent discussion session and the presentation of the method . In autumn, the project will end, but there still have remained some activities that must be done. Already in September we will follow the study circle footsteps in Latgale and then also in Kurzeme, while in November the final event and panel discussion is planned. A study visit to Lithuania. Meeting with Lithuanian Adult Education association and Naujoji Vilnia Culture Centre. Theme - Journey of adult educators towards the professionalization. 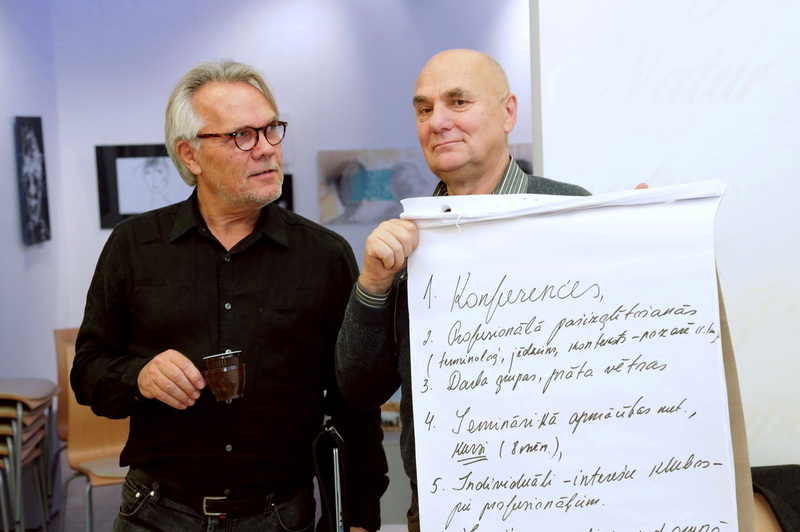 Study circle method expert from Norway - Sturla Bjerkaker - will visit Latvia again, May 3-6, 2015. May 4 - meeting with project staff in Riga, May 5 - Valmiera. PowerPoint presentation about Norwegian Adult Education Association VOFO and revised material about Study Circles. Interview questions to Sturla and the questions from seminar participants. ​On September 19, 2015, in Latgale – at the premises of society ‘ERFOLG”in Daugavpils this year's last review-seminar "In the footsteps of study circles"was held. The participants explored if the study circles have really covered the whole Latvia got acquainted with the story cards. The teams developed their own study circle plans and worked together in the creative task. The study circle leaders developed more detailed plan for the themes about how to teach politeness to children and youngsters. NGO Talent City project "Democratic study circles" (project Nr.2012.EEZ / DAP / MIC / 076) promotes in Scandinavia widely used method for non-formal adult education - study circles. In the previous project period, in 2014, four trainings had already taken place in 4 Latvia’s regions - Vidzeme, Kurzeme, Zemgale and Latgale, as well as two capacity building training for the members of our association – about NGOs and IT tools. On October 1, 2015, in KURZEME – at the premises of society in BROCENI this year's last review-seminar in Kurzeme "In the footsteps of study circles" was held. The participants explored if the study circles have really covered the whole Latvia, got acquainted with the story cards. The teams developed their own study circle plans and worked together in the creative task. Participants also shared the methods which can be used in non-formal education with children and adults. The study circle leaders developed more detailed plan for the themes about Astrology and Numerology. The project implementation is supported by Iceland, Liechtenstein and Norway, the European Economic Area Financial Mechanism and the Latvian state. On March 29, 2015, at the day center "Zemgale", on Glūda, House will be held this year's first review-seminar "In the footsteps of study circles." Participants will explore if the study circles have really covered the whole Latvia,will get acquainted with the story cards. The teams will develop their own study circle plans and will work together in the creative task. In the previous project period four trainings have already taken place in 4 Latvia’s regions - Vidzeme, Kurzeme, Zemgale and Latgale, as well as two capacity building training for the members of our association – about NGOs and IT tools. On February 21, 2015, in Vidzeme – at Varinu People's House will be held this year's first review-seminar "In the footsteps of study circles." Study circle is a small group of people who meet multiple times to discuss an issue. Learners share their knowledge and expierience to each other and improve key competences: problem solving, communication, listening, initiative, learning to learn. There is no one right way to do a study circle. The method is simple and suitable whether the discussion is for deeper understanding, for weighing options and making choices or for academic study. 1.step learners and trainer should be positioned in circle, everybody has the same position. Value is placed not on having mastered someone else’s ideas, but on generating and communicating ideas of one’s own. 2.step assigning a task to the learners, who share their present knowledge about topic and decide how to get more info. 3.step putting together info, building common and shared knowledge on the topic. 4.step trainer evaluates learning achievement. The trainer acts as facilitator focusing on the main issue and encouraging the development. 5.step trainer underlines the competences that each learner displayed, promoting the reflection on the acquisition of new knowledge and of life skills used. NGO Talent City project ”Democratic study circles "promotes a widely used method in Scandinavia in adult non-formal education - study circles. The goal is to train Latvian citizens and non-governmental organization representatives of the principles of study circle method, to share good practices and methods, and to promote and spread the method in Latvia and Europe. In year 2014 there are scheduled four training in 4 areas of Latvia - Vidzeme, Kurzeme, Latgale and Zemgale. Additional materials about the study circle methodology will be translated and adapted, participants will receive those materials during trainings and after completion of the project the materials will be available on the web site. In 2014 the project site will be continued and extended, on which the information published in 2013 will be also available, as well as the reference to NGO’s Talent City main webpage. NGO Talent City will continue participation in Civic Alliance NGO network eLPA, and will become a member organization of one new international NGO network. NGO Talent City project ”Democratic study circles "promotes a widely used method in Scandinavia in adult non-formal education - study circles. Project partner – Norwegian Adult Education Association (VOFO). The goal is to train Latvian citizens and non-governmental organization representatives of the principles of study circle method , to share good practices and methods, and to promote and spread the method in Latvia and Europe. In 2013 it is planned to start the project to carry out pre-questionnaire, to organize a kick-off conference in September 2013 and in October – carry out the training of coordinators. It is planned to carry out the translation of materials, prepare the presentation about the study circle method and place the information on website. NGO Talent City will join two NGO networks – national level, Latvian Civic Alliance, and international – ESREA. The NGO documentation package will be designed in order to optimize the everyday work of the NGO. Also Courlanders (Kurzeme) now are familiar with the study circle method. Trainings within project "Democratic study circles" (Project No. 2012.EEZ/DAP/MIC/076 ) were held on October 31 at Airites, near Saldus and on November 1 in Pāvilosta. This time the seminars were of special interest to teachers, let’s hope that the study circle method will be embodied in the work of the schools as well. Elderly people in society; travelling possibilities in Europe; How to organizē free time for youngsters; Conflict solution methods; Health path in the city; Civic engagement of poeple from rural areas; Employability issues; Support for disabled and their integration into society; How to support young families; Children and their addiction to computer gaumes, etc. My childhood memories; What’s new in the world? Freedom – what does it really mean? Energetical balance; My dream trip; Do it yourself! etc. Thanks to Society "Mantinieki" from Airītes and Society "From Idea to Development" from Pāvilosta for their support and participation! Now the work on the study circles programme development and approbation in all Latvia continues. But in the spring of 2015, once again we are looking forward to the visit of the study circles method expert,a guest speaker from Norway, Sturla Bjerkaker. See you there! NGO Culture and Education studio "Talent City" in cooperation with the Latvian Red Cross Daugavpils-Ilūkste county committee on September21 , 2014, in Ilūkste organized training for the study circle method in non-formal education. During the first part of the workshop the participants got acquainted with NGO "Talent City 'activities. The project manager Rita Liepiņa informed about the lessons learned in Sweden. and shared information about the project "Democratic study circles". The main topics of interest for Ilūkste participants were the following: Why Latvian people are leaving Latvia? ; pensioners life; youth employment opportunities during the summer holidays; birth of children in Latvia; house quality management; the understanding among people; support for non-governmental organizations; correct and healthy diet; seniors' care; Students and moral values; pupils ability to read; prominent Latvian actors; family and its role in society; negotiations on environmental history. The participants proposed the following ideas for new study circles - The second life of our daily bread; How to save the eyesight at old age; Spring in your kitchen; Who will help in old age? ;The effects of antidepressants; How to live and work together for different generations ? ; Ancient Music; Recreation in the forests of Latvia; Smoking - its harmful effects; Soul healing with flower power. The second part of the workshop was the opportunity to learn study circle method practically. Practical study circle was about the autumn solstice and how do we celebrate Miķelis day. 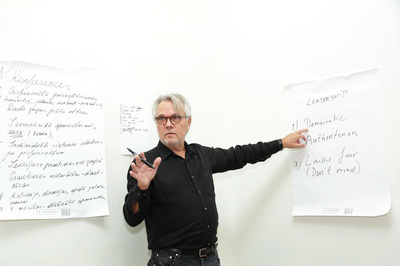 The creative study circle was led by artist Gints Kristjansone. As a joint work, this time was chosen green colour as a farewell greeting to summer. The seminar was organized within the project "Democratic study circles" (Project No. 2012.EEZ / DAP / MIC / 076). Project is financially supported by Iceland, Liechtenstein and Norway, the EEA Financial Mechanism. Society for Cultural and Educational School "Talent City organized training for the study circle method of non-formal education. NGO Culture and Education studio "Talent City" in " in collaboration with the association ERFOLG the September 20,2014,in Daugavpils organized training for the study circle method in non-formal education. The main topics of interest to Daugavpils participants, were as follows: How to maintain clean nature in Latgale; Free higher education; Latvian local product consumption; Development of new technologies; The beauty around us; Color effects; The use of natural resources; Digitalization - the pros and cons; Urban development and history through the centuries; The variety of projects and sharing project experiences; Book reading – its effect on people; Promotion of the German language; Opportunities for young people to stay in their city. The participants proposed the following ideas for new study circles - Teamwork; The importance of water in nature and in human life; Green thinking; Ethno dances; Style- ABC; Let’ s use local produce! The second part of the workshop was the opportunity to learn study circle method practically. Practical study circle was about the autumn solstice and how do we celebrate Miķelis day. The creative study circle was led by artist Ginta Kristjansone. As a joint work, this time was chosen green colour as a farewell greeting to summer. On September 20, 2014, in Daugavpils and September 21, in Ilūkste, the training about study circle method will be carried our within project „Democratic study circles . The trainings are organized by NGO Talent City in cooperation with the Red Cross Daugavpils- Ilūkste committee in Ilūkste and with society ERFOLG in Daugavpils. During the first part of the seminar Laura Graudiņa will present the activities of NGO Talent City. Part two will be the ability to try out the study circle method practically and adapt it to Latvia’s conditions. The participants of study circles will find out and share when and how to celebrate the autumn solstice. The creative study circles will be led by artist GINTA KRISTJANSONE. This time, for working together we have selected green color as farewell greetings to summer. Rita Liepiņa, project manager, informs that: "with the study circle method she became acquainted in May, 2012 , in Sweden, during Grundtvig program. This method has also been introduced in Latvia, but as our express survey has shown, only 4% of respondents had heard of this method. So NGO Talent City within this project is preparing methodological materials and also carrying out trainings in regions for potential study circle leaders and participants”. We invite the representatives of non-governmental organizations and other interested persons who want to apply study circle method in their work to take part in those trainings. On March 23, at Glūda Parish Zemgale day center "Zemgale" the training on the study circle method for adult non-formal education was held. Participants learned the methodology of the study circles, both in theory and in practice. As for the spring – the practical circles theme was Easter day, while the creative circles color was like the spring sun - yellow. Creative collaborative effort became the Easter theme. The training was organized by the association "Talent City", project "Democratic study circles" within the project Nr. 2012.EEZ / DAP / MIC / 076/1 / R / 014. 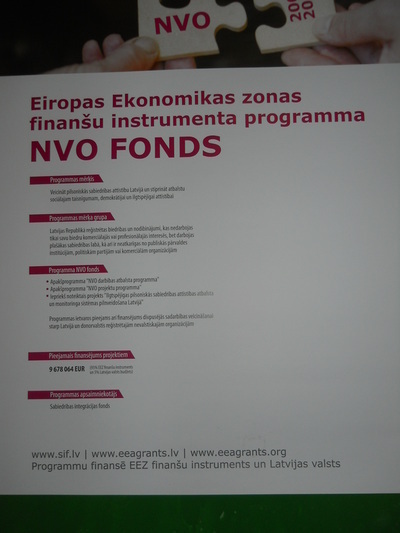 The "NGO Fund" is financed by the EEA Financial Mechanism and the Latvian state. The project is financially supported by Iceland, Liechtenstein and Norway. On March 21, 2014 the first training in Zemgale on the study circle method for adult non-formal education took place. This time we visited Auce. Participants learned the methodology of the study circles, both in theory and in practice. As for the spring - practical circles theme was Big Day (Easter) , while the creative circles color was-yellow, as spring sun. Thanks to Auce Adult Education Centre for hospitality and cooperation! The project "Democratic study circles". Project Nr.2012.EEZ / DAP / MIC / 076 The responsibility of the project contents: Culture and Education Studio "Talent City." The project is financially supported by Iceland, Liechtenstein and Norway. " On February 22,2014, in Jaunpiebalga, and February 23, 2014, in Variņi, the first study circle method trainings – forums in Vidzeme region took place. The trainings were conducted by NGO Talent City trainers. Each workshop consisted of three parts: theoretical – the democratic circles and democracy, practical – Latvian lifestyle circles ( this time we shared the experiences about Shrovetide (Metenis) celebration traditions.) 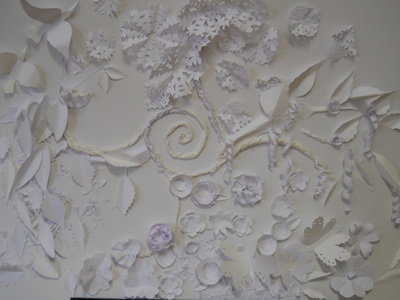 The creative circles concentrated around white colour as in winter. 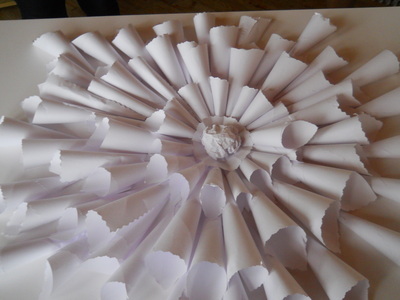 The participants most liked the creative engagement and at each training site it became the collaborative effort in making the composition by using the miraculous transformations of paper. The NAAL is the national NGO umbrella for adult learning in Norway. The members are 19 governmentally approved adult learning associations with a member network of 438 nationwide adult learning NGOs. NAAL has a central administration in Oslo, and has autonomous regional offices covering all 19 counties of Norway. 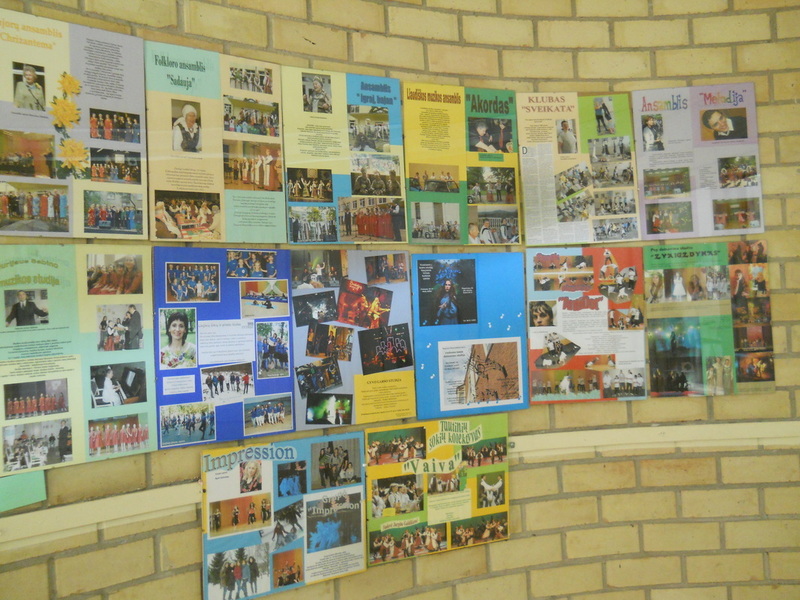 Members' activities in 2009: approximately 35 900 courses with 470 000 participants. Advocate the common interests of the associations and their participants towards the Government, the Parliament and the Ministry of Education, promote non-formal adult learning in the society in general, counsel members and other third parties concerning laws and regulations, advice within the field of Adult learning theory and practice, project coordination, advocacy and lobbying. The members of NAAL represent a multitude of interests and ideologies. The largest associations offer a broad range of learning opportunities on several levels, with or without formal exams and parallel programs in the official school system. Other associations emphasize more voluntary adult learning activities, organizational training of members, learning for the development of the local community and sustainable development. Others emphasize political training, culture and creative, esthetically and practical topics. In 2012 our members activities totaled 40 000 courses with 500 000 participants. The common lowest denominator of the adult learning organized by the NGOs is a profile of equality and equal opportunities, a humanistic adult learning theory and practice, a belief in every person's development potential. NAAL regularly signs up to international projects as a project partner. They strive to put together project teams that fully meet the requirements of the project initiator. NAAL has a policy to sign up as the main project partner and then internally subcontract to our members. This way NAAL keeps the transparency and openness that is needed in democratic structure. As a result of the Norwegian Adult Education Act of 1976, the adult learning organised by the member associations of NAAL receive, through a legal system of criterias, grants from the Government, most of the counties and many municipalities. The Governmental grants for 2012 was 189 054 000 NOK. In 2009 a new Adult Education Act was created, and it was active from 01.01.2010. The new Act is expected to change the criteria for grants slightly, but is not expected to change the level of grants particularly. Education background from Norwegian universities in sociology, social science and adult education (master level), management skills from functions as director of publishing, adult education centers and NGOs. Teaching skills from adult education centers and adult education associations. Organisational skills from positions as board members of the European Association for the Education of Adult and the International Council for Adult Education. The Norwegian Helsinki Committee has a coordinating role of mediating bilateral cooperation between Norwegian organisations and organisations from the beneficiary countries under the Norway Grants, EEA Grants and the NGO Programmes. We are currently looking for bilateral project partnerships that we can profile on our website (http://www.ngonorway.org/bilateral-partnerships/success-stories). I understand that you currently implementing a project with a Norwegian partner. Have you started your project already? If so, would you be willing to answer a few questions concerning your partnership and project? What is the project about? What are the aims? NGO Talent City, Latvia, has started to implement the project ”Democratic study circles" (Project number: 2012.EEZ/DAP/MIC/076) which promotes a widely used method in Scandinavia in adult non-formal education - study circles. Project partner – Norwegian Adult Education Association (VOFO). Programme is financed by the EEA Grants and Latvia. - How far are you in the project now? We started in 2013 with carrying out pre- questionnaire to find out how much people in Latvia know about study circles and lifelong learning, organized a kick-off conference in October 2013 and carried out the training of coordinators. Only 4 % of the respondents had heard about study circle method and lifelong learning. In year 2014 there are scheduled four training in 4 areas of Latvia - Vidzeme, Kurzeme, Latgale and Zemgale. 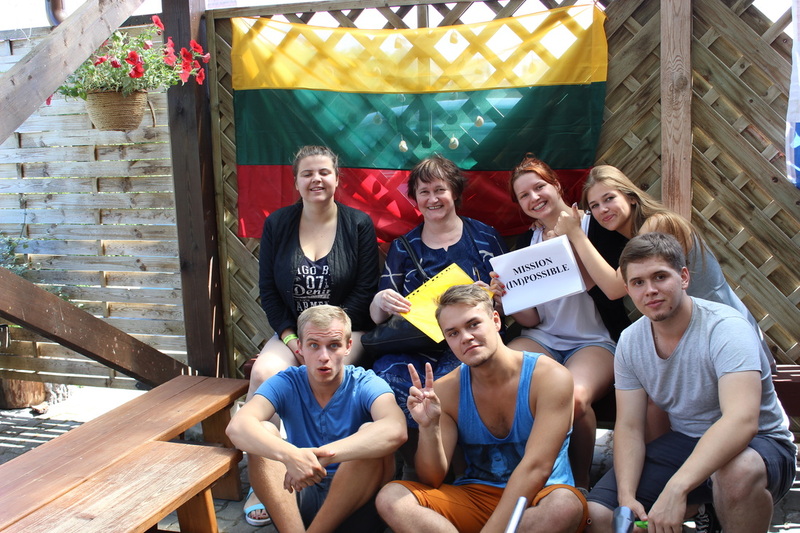 The first trainings in Vidzeme have just completed and were welcomed by local NGO activists. Additional materials about the study circle methodology will be translated and adapted to local needs, participants will receive those materials during trainings. - What have you learnt so far? We are trying to adapt the study circle method to local needs, therefore at each training we ask participants to think about themes they are interested in and suggest new ideas for study circle meetings. - What has been the main challenge so far? We have learned that people in communities are mainly concerned about the development of local community, education and environmental issues. They are keen to join local NGOs and take the challenge to make the difference. We are really keen to implement the planned activities and perhaps even spread the method further to more people, but the biggest challenge so far has been the reporting system for NGOs here in Latvia. - How did you find the partner? It has been a very lucky coincidence that during the partner matchmaking meeting, organized by our national coordinator – Society Integration Foundation, we met the representatives from VOFO, Norwegian Adult Education Association. I have learned about the study circle method in Sweden during Grundtvig visit, and was eager to share my founding. 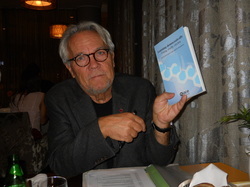 And then surprisingly it turned out that we can get support from an expert from Norway, VOFO Secretary General, Sturla Bjerkaker, who is the co-author of a book „Learning democratically, using study circles”. We think this has already determined the success of the project! Sturla Bjeraker visited Riga and delivered a seminar to the representatives of Latvian NGOs in October 28-29, 2013. - What is the main benefit of the bilateral partnership? Are there any challenges to having a foreign partner? We have learned from our Norwegian partner a lot about the adult education situation and system in Norway. Also we have been lucky and able to compare how the method is used in several Nordic countries – Sweden, Denmark and Norway. We have learned about the role of NGOs in democracy processes, and how the study circle method can be a good tool for the development of democratic values. - Do you have pictures? 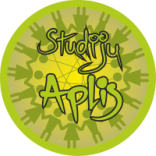 We have created the project logo and project website: studjuaplis.weebly.com where we have started to place the information about project activities and the method itself. We still have many challenges ahead as our NGO is only 3 years old and we need to improve the capacity of our organization. We hope that with the support of this project our NGO’s capacity increases and we become experts in „democratic study circles” and find followers all around Latvia and abroad. The Latvian non-governmental organisation Talent City is currently trying to introduce study circles in Latvia with the support of their Norwegian partner. The project “Democratic study circles” promotes a widely used method in Scandinavia in adult non-formal education and is financed by the EEA Grants. The Latvian organisation met the Norwegian Adult Education Association (VOFO) in Riga during a matchmaking meeting which was organised by Society Integration Foundation, the programme operator of the Latvian NGO Programme. “I had learned about the study circle method in Sweden and was eager to share this method in Latvia. We were very lucky to be able to get support from an expert from Norway. 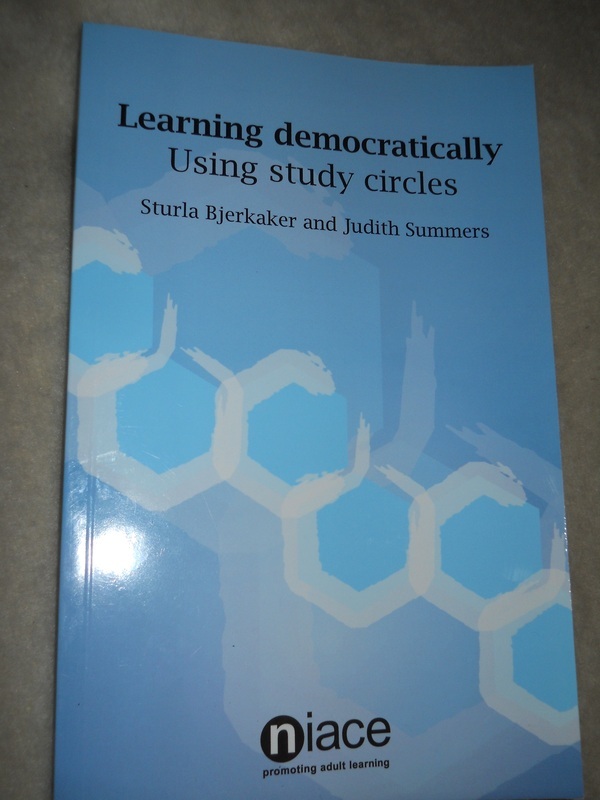 The Secretary General of VOFO, Sturla Bjerkaker, is the co-author of a book “Learning democratically, using study circles”. We think this has already determined the success of the project!” explains Rita Liepina. According to VOFO, the study circle is a known and accepted basis for Scandinavian democracy. Since the beginning of the 20th century, it has been actively used in the effort to spread knowledge and enlighten people. Traditionally, it has a democratic basis of values and stimulates learning that arises socially and voluntarily, and it develops learning that is life value-orientated. The circle creates interaction among people in different phases of their lives and recruits heterogeneous communities. It is a tool that promotes equality, dialogue, respect and tolerance. The study circle is also a meeting place; it is a place where information is spread and meaningful communication established. The goal of the project is to train Latvian citizens and NGO representatives of the principles of the study circle method, to share good practices and methods, and to promote and spread the method in Latvia and Europe. The project promoter is hoping that the application of the study circle method in adult non-formal education will stimulate active participation of citizens in the democratic processes and will enable citizens of Latvia to realise the importance of lifelong education in a new innovative context. “We started in 2013 with carrying out a questionnaire to find out how much people in Latvia know about study circles and lifelong learning. Only 4 % of the respondents had heard about the study circle method and lifelong learning,” explains Rita Liepina who is a project coordinator at Talent City. Sturla Bjerkaker visited Riga and delivered a seminar to the representatives of Latvian NGOs during the kick off-conference in October 2013. Currently, the project promoter is spreading information throughout Latvia. They have planned four seminars in various regions throughout Latvia. The first training in Vidzeme has already been completed and was very welcomed by local NGO activists. Additional materials about the study circle methodology will be translated and adapted to local needs and participants will receive those materials during trainings. “We have learned that people in communities are mainly concerned about the development of local community, education and environmental issues. They are keen to join local NGOs to try to make a difference. We are really keen to implement the planned activities and even spread the method further,” says Rita Liepina. From their partner they have been able to learn a lot about the adult education situation and system in Norway. They have learned about the role of NGOs in democratic processes, and how the study circle method can be a good tool for the development of democratic values. “We still have many challenges ahead as our NGO is only three years old and we need to improve the capacity of our organisation. But we are hoping that with the support of this project and partner the capacity of our organisation will increase. We will hopefully become experts in the method of democratic study circles and find followers all around Latvia and abroad,” concludes Rita Liepina. A study circle is a small group of people who meet multiple times to discuss an issue. Study circles may be formed to discuss anything from politics to religion to hobbies. They are differentiated from clubs by their focus on exploring an issue or topic rather than on activities or socializing. When they emerged in the early twentieth century they were based on a democratic approach to self-education and were often linked to social movements concerned with temperance or working class emancipation. Study circles are typically created by persons who discover a common interest; other study circles may be created to analyze and find solutions to social, political, or community problems. Often there is no teacher, but one member usually acts as facilitator to keep discussion flowing and on track, and ensure that everyone has an opportunity to become as involved as he desires to be. Reading material and audio/visual aids are often used to stimulate dialogue. Study circles may be introductory level, advanced level, or any level in between. Study circles may be sponsored or assisted by government or community officials and have specific outcome goals such as generating ideas or suggesting courses of action; or they may be entirely independent and self-sufficient, existing simply for the pleasure of increasing the knowledge of their members. There is no one right way to do a study circle. The method is simple and suitable whether the discussion is for deeper understanding, for weighing options and making choices, for making recommendations that lead to action, or for academic study. Study circles allow complex topics to be broken down into manageable parts. Single session programs can result in meaningful and productive dialogue, but study circles usually involve multiple sessions in order to fully investigate the question at hand. However, a study by Staffan Larson in 2001 concluded that while study circles foster participation they are only partly successful as civic change vehicles since their power to influence social action is weak. The Study Circle gives to everybody the possibility to participate on an equal base to a training experience, during which the trainees are able to express and experience themselves as problem-solvers, in order to promote the auto-training through sharing experiences, knowledge and competences generally people decide to participate to a Study Circle willing to express opinions on a local problem, to socialize with other people and share results based on the problem-solving and problem-setting methodologies, the Study Circle promotes the acquisition of knowledge as well as key competences such as communication, initiative, problem solving, and social abilities . The Study Circle aims to answer to a need of training coming from the bottom, i.e. expressed by citizens (bottom-up demand), on many fields and matters, giving training opportunities as well as possibilities of social inclusion and integration at any age. It helps forming groups interested in improving their knowledge and competences and in finding solution to problems of the local community, compensating what the formal education system is not able to offer it can be considered as a way of “learning near home”. 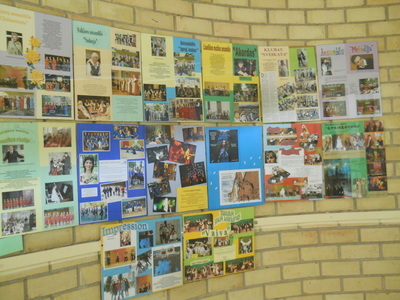 Participation to the problem solving that the community is interested in: enhanced amelioration of conditions of life, increasing of relationships and social skills, communication competences, development of meta-cognitive skills, learning how to use learning time, finding materials and tools, to overcome and use bonds, etc. In the Study Circle learners share their knowledge (which can also be implemented through researches at home) and competences through discussion and activities chosen and done together. It’s a sort of peer learning during which each participant can learn from what the others have to say (sharing knowledge) and experience and improve other main key competences, such as problem solving, communication, listening, initiative, in addition to learning to learn. The trainer acts as facilitator contributing to focus on the main issue and encouraging the development and the correct use of the key competences. gives to everybody the possibilities to participate on an equal base to a training experience, during which the trainees are able to express and experience themselves as problem-solvers, in order to promote the auto-training through sharing experiences, knowledge and competences. Lets participants to express opinions on a local problem, to socialize with other people and share results. • 15 minutes: pooling and gaining an overview in a plenary. The trainer can decide to use the Study Circle interchanging it with frontal lessons or other methods. is to have the proper classroom context: learners and trainer should be positioned in circle, everybody has the same “position” (a person with a doctorate has no more status than a person with a high school diploma. Value is placed not on having mastered someone else’s ideas, but on generating and communicating ideas of one’s own) and the atmosphere should be relaxing and familiar. is to assign a task to the learners (for example if the training subject is art, the task could be “knowledge/information on Michelangelo”): the trainer will invite learners to share their present knowledge about that topic and then to decide how to get more info. The trainer will act as facilitator during this decision making phase. is to put together info in order to build the common and shared knowledge on the topic. Only at this point the trainer, if expert of the subject, can add info and knowledge. for the trainer is to evaluate the learning achievement (through test or other means). for the trainer is to underline the competences that each learner displayed, promoting the reflection on the acquisition of new knowledge and of life skills used (including learning to learn). Considering that the methodology is based on the open discussion among the students, it doesn’t require particular material, apart from a nice learning setting. PCs for desk research may be suggested. Programme is financed by the EEA Grants and Latvia. The overall aim of the project is to disseminate study circle method as a tool for democracy around Europe and address adult learners and trainers to become more involved in lifelong learning. A study circle is a known and accepted basis in Scandinavian countries for democracy. Since the beginning of the 20th century, it has been actively used in the effort to spread knowledge and enlighten people. Traditionally, it has a democratic basis of values and stimulates learning that arises socially and voluntarily, and it develops learning that is life value-orientated. The circle creates interaction among people in different phases of their lives and recruits heterogeneous communities. It is a tool that promotes equality, dialogue, respect and tolerance. The study circle is also a meeting place; it is a place where information is spread and meaningful communication established. The aim of the project is to disseminate and spread study circle method as a tool for democracy in adult non-formal education throughout Europe. Project objectives -- promoting European values and stimulate people to participate in democratic life ;raising the awareness of various non-ormal adult education methods, focusing on study circles. Project is oriented toward sharing the good practices in study circles. Partners will adapt the existing method to their local needs and carry out evaluation sessions with local participants. Therefore the target group of the project are adult learners in general but also NGO representatives who are interested in the principles of the study circle method, in sharing good practices and methods in various EU countries, and to promote and spread the method in Europe. Project will motivate adult learners to get involved and be responsible for their personal development, find new interactive ways of learning, and strengthen their self consciousness about being moderator of change. It will be a multicultural tool for improving standard educational instruments and we will use it in our everyday activities also after the project is over. The general expected results are to exchange new best practices and to develop and deliver new or innovative adult education materials and methods to improve the accessibility of learning opportunities for adults. 2. In what way is the project innovative? Study circle method is a well known method in Scandinavia, however not so widely known in other parts of Europe. Also it should be adapted to local needs, new curricula,new thematic plans can be added. The idea of this project -each partner from its former experience with adult learners brings some innovative elements, e.g. Latvia - creative colourful study circles. The coordinator has carried out a few local trainings and was positively surprised at suggestions and reflections from local participants. This proves that we can successfully rehabilitate the method and introduce new innovative elements to existing standards. One very successful form of informal learning,also from Slovenia experience, is the study circle. The gatherings of people from rural areas who share the same goals are reflected in new ideas and projects. Examples of good practice prove that with knowledge exchange among equals on the principles of equality, and with a measure of courage, it is possible to achieve educational and action-related goals that would otherwise be impossible. Intergenerational work and volunteering are the most important tools to promote sustainable development in our community. The project promoter is hoping that the application of the study circle method in adult non-formal education will stimulate active participation of citizens in the democratic processes and will enable citizens of Europe to realize the importance of lifelong education in a new innovative context. 3. What are the most relevant priorities addressed by your project? 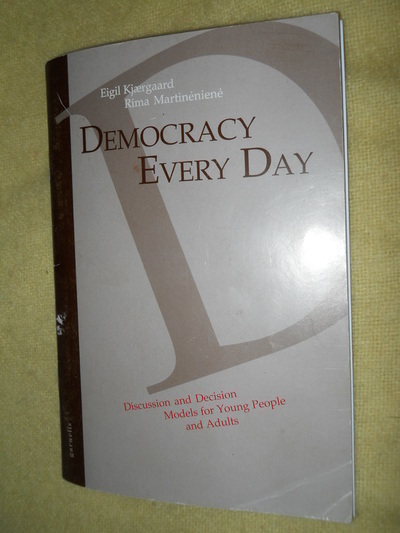 Stimulating active participation of young people in democratic life. CULTURE AND EDUCATION STUDIO "TALENT CITY" STARTED ITS OPERATION ON JANUARY 10, 2011. IN FEBRUARY THE WEBSITE WWW.TALANTUPILSETA.LV WAS LAUNCHED AND ON FEBRUARY 8 THE FIRST JEWELRY MAKING CLASS TOOK PLACE. IN THE SUMMER OF 2011 "TALENT CITY" COMPLETED ITS FIRST FREE-TIME ACTIVITY PROJECT FOR SCHOOLCHILDREN DURING SUMMER HOLIDAYS. THE NGO TRAINING CENTRE HAS A REGISTERED EDUCATIONAL INSTITUTION STATUS, AS WELL AS THE NGO HAS RECEIVED THE STATUS OF THE YOUTH ORGANIZATION IN THE REGISTER OF THE MINISTRY OF EDUCATION. UNTIL FEBRUARY 2013 A VARIETY OF CRAFT COURSES WERE HELD IN THE RENTED PREMISES IN RIGA, 135 DZIRNAVU STREET, BUT NOW THE SCOPE OF OFFERED CRAFTS COURSES HAS BEEN NARROWED, AND THE ORGANIZATION HAS MORE ACTIVITIES IN OTHER AREAS - DIFFERENT PROJECTS, TRAINING COURSES, MARKETING MANAGEMENT TRAINING WWW.MARKETINGAGURU.LV (PAGE IS ONLY IN LATVIAN AT THE MOMENT), STUDY CIRCLE METHODOLOGY DEVELOPMENT, OFF-SITE TRAINING FOR BUSINESS ETC.